Ok so you are saying what is so great about this meal? Elizabeth Faulkner’s twist makes it extra special. 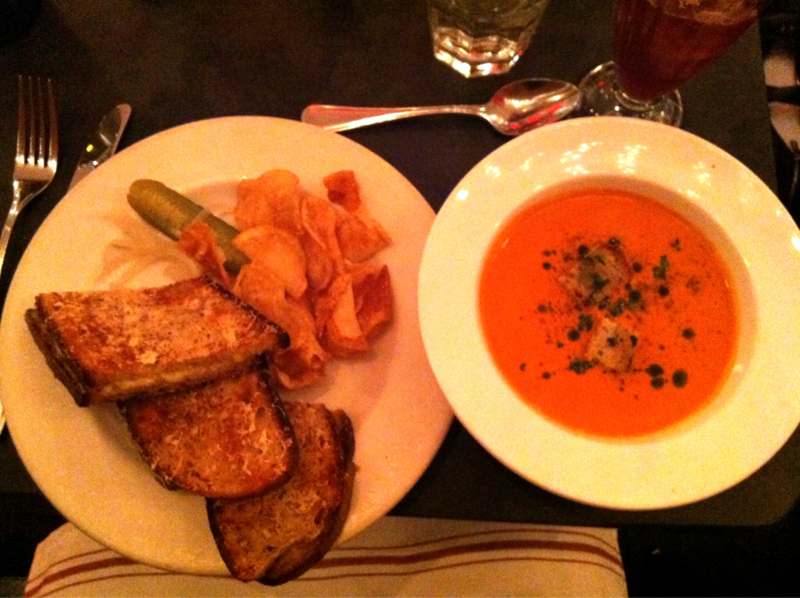 Besides being total comfort food on a chilly San Francisco night, the tomato soup was creamy and rich and topped with garlic croutons and basil olive oil. The grilled cheese was a blend gooey cheese but then the outside had that extra surprise of melted crispy cheese all over which is such a great idea that I can’t wait to try!